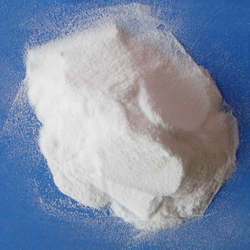 Potassium Magnesium Citrate is one of our new products. This supplement is supposed to be very beneficial in prevention of recurrence of renal stone. Potassium citrate may be used to control uric acid and Cystine kidney stones. Magnesium citrate is a chemical agent used medicinally as a saline laxative and is used to empty the bowel prior to a surgery or colonoscopy. Potassium Magnesium Citrate is one of our new products. This supplement is supposed to be very beneficial in prevention of recurrence of renal stone. Potassium citrate may be used to control uric acid and Cystine kidney stones. Magnesium citrate is a chemical agent used medicinally as a saline laxative and is used to empty the bowel prior to a surgery or colonoscopy. It is available without a prescription, both as a generic brand or under the brand name Citromag or Citroma. It is also used as a magnesium supplement in pills. Looking for Potassium Magnesium Citrate ?